I have a set of CSV files containing lat-long values for certain land cover classes. From this point on, I need to generate a TIFF file which contains information present in the CSV files i.e. lat-long and subsequent land cover classes at those coordinates. I am new to GIS and have completely no idea on how to get started. Should I first convert the CSV files in some other format readable by some software? And which would be the best platform to do so? 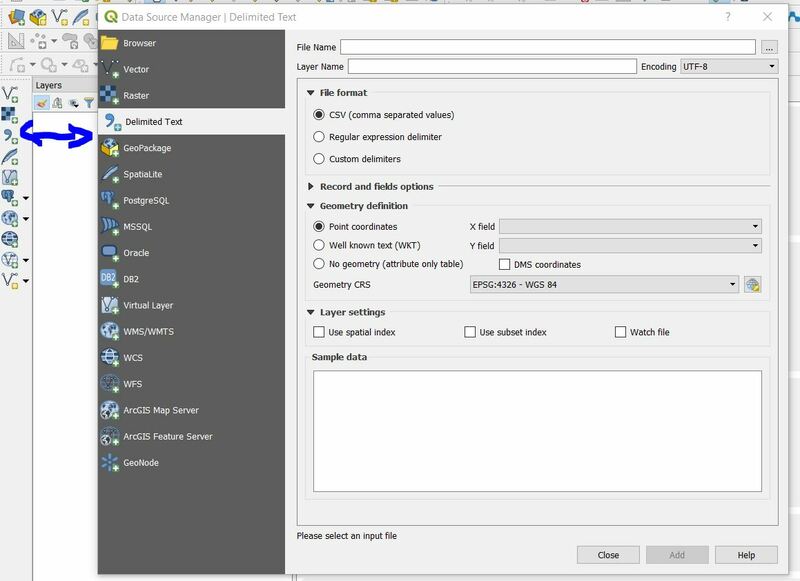 You can use QGIS software which can be downloaded from here: https://qgis.org/en/site/forusers/download.html ; it is an open source GIS software. Once you have loaded the data, just click on Project --->Import/export ---> Export Map to Image. Not the answer you're looking for? Browse other questions tagged coordinate-system geotiff-tiff georeferencing software-recommendations land-cover or ask your own question. How do I present labels in raster format in ArcMap 9.3? Creating GeoTIFF from TIFF image?